stAllio! 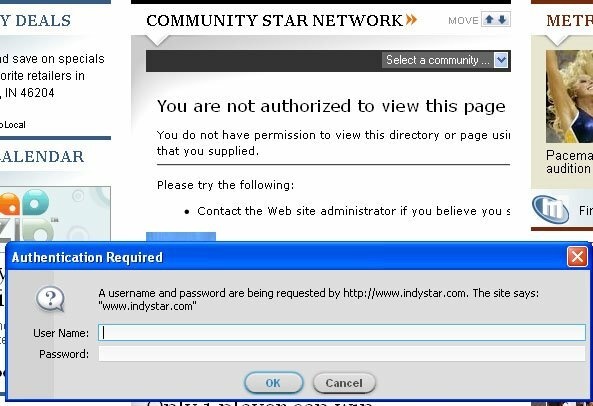 's way: indystar.com: password required? Considering this error has been going on for over two hours now (@10:18am) it shows the Gannett system is so disorganized that a massive failure like this could persist so long. Somebody "flipped a switch" in the server software and a competent software jockey could fix it rapidly.